Grow Together Be Together is a community garden in East Ham, created and run by Bonny Downs Community Association. 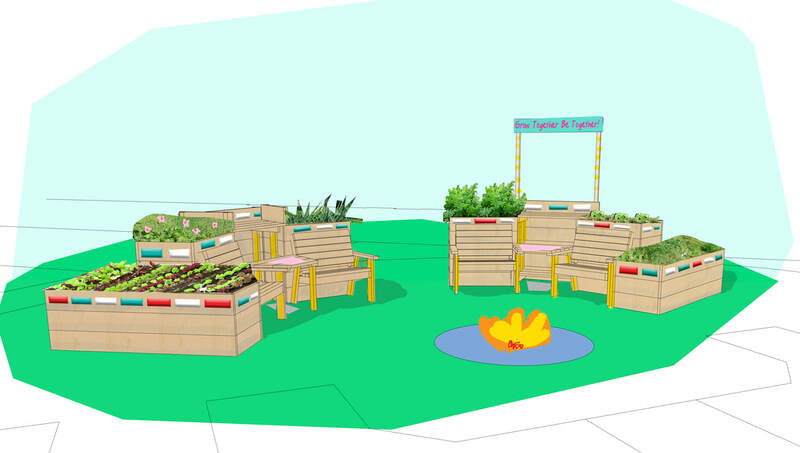 The initial brief received from Bonny Downs was to create wheelchair-height planters to go around the garden’s fire pit, which could double as seats. In discussion with the client, we decided that the project could be best completed through a series of co-design and build workshops with users of the gardens. This approach also fit in with Bonny Downs’ wider project of various skills workshops for vulnerably housed people. We then created a series of design and build workshops to hold at the gardens. The objective of the first workshop was to collaboratively develop some designs with which to improve the gardens as well as beginning to physically prepare the site for building works. We then solidified the design agreed upon during the workshop, creating a construction guide and preparing the pieces to be put together by users on site. 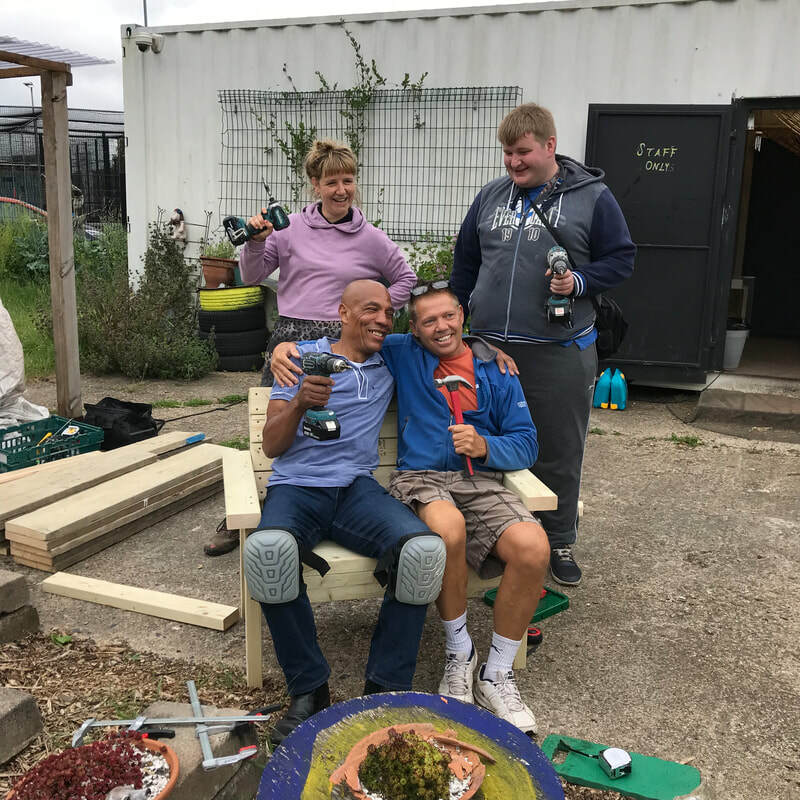 During the following two workshops, Co-DB staff, along with Holly and Steve from Bonny Downs, led garden users in building the new planters and seating for the gardens. After allowing a few weeks for plants to inhabit the planters, we held a final workshop to decorate the planters and seating. ​Through the co-design process, the users of the garden were able to create the most appropriate design for them as well as evoking a feeling of ownership over the space. The result of the series of workshops is a new collection of wheel-chair height and standard height planters, as well as integrated seating.